to factory or better than factory appearance. Terry so you can discuss your needs in greater detail. Hydroboost specialises in Custom Conversions. All Products supplied with a 12 months warranty. Terry at Hydroboost is a car person, and the reason for setting up Hydroboost was to cater for the power braking needs of like minded car enthusiasts, from the bloke with the original 48 Chev who needs a booster to help him pull up a bit easier, to the young bloke who's fitting the 454 in his Ford Prefect and wondering how the hell he's going to stop it. 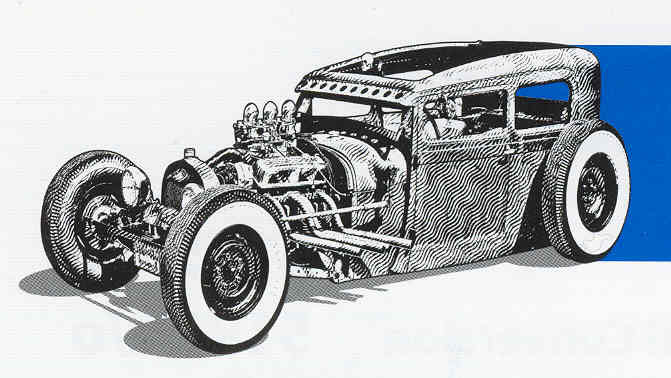 Or the classic English sports car owner who either wants to fit a booster or wants his original booster restored to concours standard or the classic Aussie or American muscle car owner who wants that just right restoration of his booster, we can, and have helped with all the above situations (well maybe not with the 454 in the Prefect, but we could have!). So no matter what your booster query, give us a ring at HYDROBOOST and we will do our best to make you another satisfied Hydroboost customer. 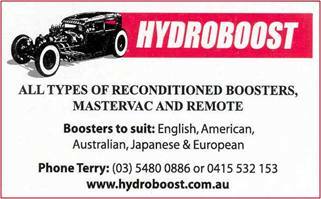 At Hydroboost all reconditioned boosters are finished to factory or better than factory appearance. Hydroboost also make and sell all types of mounting brackets for VH40 and VH44 plus a selection of genuine factory brackets.